Moving into a share house is a fun and exciting experience – you get to meet new people and explore new places. But it can be a little daunting for the uninitiated. We’ve compiled a list to help first time share house adventurers make a smooth transition. A number of things should be considered when moving into a share house, especially if you are moving directly from home. Two of the most important things to consider are price and location. Are you happy to travel to work or uni, or do you want to be able to walk? Proximity to the city will make rent more expensive, but it may be worth it if you don’t want to spend time travelling every day. If you are happy to travel, establish how close access public transport needs to be and what modes you prefer. Keep in mind you will have to pay the rent and bills every month, so make sure you will be able to afford whatever places you look at. 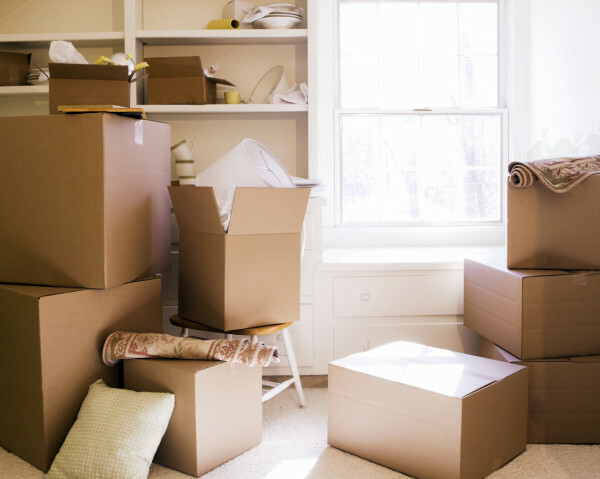 If you are moving out of home remember to take into account buying your furniture and other household goods. Leave ample time to find a roommate, regardless of your needs, because it provides a buffer and makes the experience less stressful. You want time to view a number of places without the pressure of having to work to a deadline. Every great search begins with a great profile! Sign up and create your profile here. Keep in mind that other users will want to know about you, would you live with someone you didn’t know? Providing useful information about yourself gives you a greater chance of finding the perfect match. You don’t need to write an essay, but two or three detailed paragraphs will go a long way. The most important things members want to know are: when you can move in, how long you will stay, your age, your occupation and a couple of your interests. You don’t want to waste time exploring incomplete room listings, and it safe to assume those looking for flatmates don’t want to waste time looking at empty profiles. After you have made your listing it is now time to search for the ideal room. The best places are snapped up within a few days of being posted and being proactive by messaging other members will give you the best chance of securing the perfect room. The more people you contact, the more variety and options you will have to chose from. Don’t let your profile sit dormant on the site waiting for others to contact you! When it comes to a property viewing – be yourself. Meeting your potential roommates is just as important as inspecting the room. General Manager of Flatmates.com.au Thomas Clement recommends you act normal, don’t try to be cool or impress people. People want to know you are sane before they learn about your crazy habits and interests. If you live with these people they will get to know you well so be upfront about who you are, what you enjoy and see if you mesh well as a group. Feel free to meet up a second time if you are still unsure whether you want to commit to the share house. This is your future home and these are your potential flatmates. Feel free to ask any question that comes to mind. This could be as trivial as how the house divides cleaning duties to big questions like will you need to sign a lease. It is important you feel prepared and comfortable with the arrangement before you commit to ensure you will enjoy your decision. Once you have settled on a room and roommates it is extremely important to work out the logistics. Flatmates.com.au have compiled a series of legal guides to ensure members are aware of their rights and obligations. Make sure to read the legal introduction and use the pre-tenancy checklist before you move in. Be sure to put everything down in writing! Consider the following: how your bond is handled, do you have to sign the lease, what will happen if you leave before the agreed period is up? Having everything down in writing means you have a record of what is agreed upon, which can come in useful if you need to move out. Don’t feel awkward – it’s best to get the gritty details out of the way so you can move in and enjoy your new house. You are now a successful member of a share house. Congrats! Move in, unpack your stuff and hang with your new flatmates!